Have you heard the album 'Tago Mago' by Can?? Any progressive rock fans out there? I love Tangerine Dream to bits, but thought they were more electronic than rock? I will be checking out all the others though if they are as good! "Krautrock" doesn't really have to be "rock", just psychedelic music from late 60s / 70s West Germany. 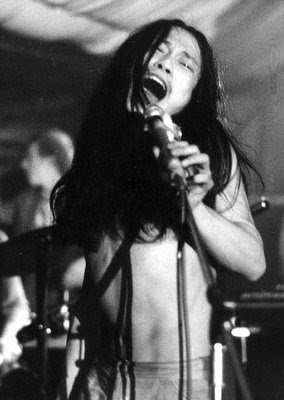 Most Krautrock bands, like TD, experimented heavily with analogue synthesisers and ambient music. TBH no Krautock band really sounds the same as the next. I listened to half of ricochet by tangerine dream once. Weird as hell but decent. There's nothing wrong with rammstein though! Eh, I think Edguy are one of my favourite German bands around. Krautrock =/= German rock music. I've watched that documentary before and it's actually pretty good. The BBC do some good documentaries on music sometimes. And Autobahn is a fantastic album. What new music are you spinning today? What genre music do you listen to? What is uni academic and social life "really" like as a mature (30+) student?